CarGurus has 371 nationwide BMW i3 dealers with 2,962 new car listings. Now in its sixth model year, the BMW i3 electric hatchback is still as funky and futuristic as ever. For 2019, an upgraded battery extends the range by 30 percent and a Range Extender trim features a 2-cylinder motorcycle engine that acts as a generator to charge the batteries, making longer trips possible. New available paint colors are also available as well as options like wireless device charging, automatic high-beam headlights, and a WiFi hotspot. The i3 is available in standard base trim or the slightly better equipped i3s. The new electric powertrain underneath the i3 is a 42.2-kWh battery, replacing the old 33.2-kWh version from 2017. Total range now extends to 153 miles; expect fuel economy to reach 124 MPGe city, 102 highway, and 113 combined. The i3’s output is 170 horsepower and 184 pound-feet of torque. The i3s trim has a higher output at 181 hp and 199 lb-ft of torque, and it will do 0-60 miles per hour in 6.8 seconds. Charging from empty to full takes 6.5 hours on a normal connection, while DC fast charging at 50-kW happens in an hour and a half. The inside of the i3, even several years after its introduction, remains a novel and forward-thinking space. 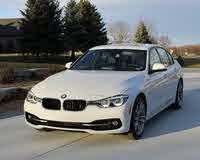 BMW makes heavy use of recycled materials, including on the seats and some of the trim. BMW’s iDrive infotainment system is centered on a 10.2-inch screen in the dash. Drivers can access the rear seats via small rear-hinged, pickup-style doors. Rather than trims, BMW offers the i3 in “worlds” that each have a loose theme for the interior. The Deka version has dark cloth seats, a navigation system, heated front seats, automatic climate control, and a universal garage-door opener. The Mega version adds lighter cloth and synthetic leather seats, while the Giga version has a leather-covered dash and open-pore eucalyptus wood trim. Finally, the Tera version gets genuine leather upholstery and special alloy wheels. A Technology and Driving Assistant package adds several active safety features, plus a navigation system and extra features for the infotainment system like stock updates, weather, and Google search capability. The BMW i3 hasn’t been fully crash tested and doesn’t come standard with the kind of active safety features common across the rest of the market. The optional Technology and Driving Assistant package adds adaptive cruise control and pedestrian warning with automatic emergency braking, and both automatic parking and parking sensors are available options. The i3 was one of the first mass-produced EVs on the American market and it’s still a futuristic automobile that draws glances wherever it goes, but it’s not alone. A Nissan Leaf has similar capability, but comes at a much lower price, and both the Chevrolet Bolt and the Tesla Model 3 have the i3 beat for range. The i3 has charming quirkiness and its available gasoline-powered Range Extender feature to make longer trips in an EV possible. What's your take on the 2019 BMW i3? 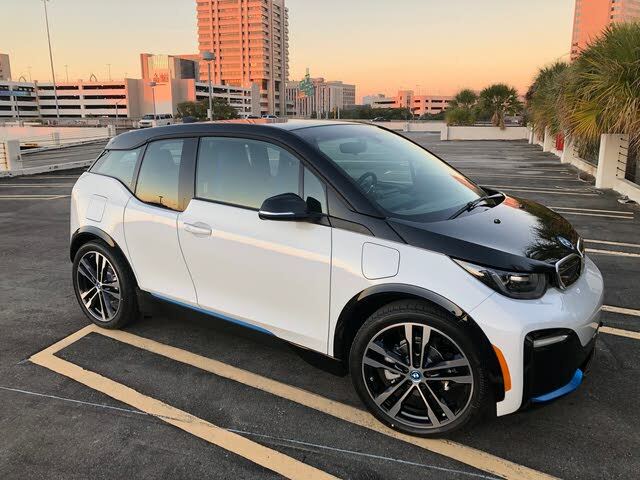 Have you driven a 2019 BMW i3?